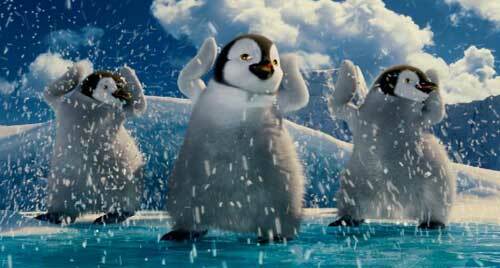 The dancing penguins are back in Happy Feet Two, the animated sequel to the 2006 family movie. But this time around, the fun wasn’t quite as successful. Whereas the original Happy Feet grossed a sweet $384 million, Two pulled in $61 million at the box office. In Happy Feet Two, Mumble, the dancing penguin who stole hearts in the first movie, is all grown up and has a son of his own, Erik. The young penguin is also struggling to realize his talents when he meets The Mighty Sven, a penguin who can fly. Meanwhile, the world of the Emperor Penguins is shaken by powerful forces, causing Mumble to bring together the penguin nations and their allies to save them. Elijah Wood (The Lord of the Rings) brings his voice back to the movie as Mumble, while his wife Gloria is voiced by singer Pink. (In the original movie, Gloria was voiced by the late Brittany Murphy.) Robin Williams (Good Morning, Vietnam) also reprises his roles from the first movie of Ramon and Lovelace, as well as Hugo Weaving (Captain America: The First Avenger) as Noah the Elder. Happy Feet Two also features the voices of Sofia Vergara (TV’s Modern Family), Brad Pitt (Moneyball) and Matt Damon (The Adjustment Bureau). Rated PG, Happy Feet Two is a combo pack on both Blu-ray and Blu-ray 3D, including a DVD. Both also come with an UltraViolet digital copy, which must be redeemed by March 13, 2014. The digital copy can be downloaded or accessed for instant streaming via the UltraViolet cloud.